When in doubt, eat a sprout. Happy Friday everyone! I am currently still in Texas and absolutely loving it. Shout out to Alex. I’m totally jealous of your home state. I fly home tomorrow but I really don’t want to go back. Oh well. Luckily I already had this post made. It’s all my favorite pins from my Pinterest folders. And yes. I have a lot of folders. Ideas: Add sprinkles to clear nail polish. Why didn’t I think of that?! Tips: Cornmeal to get grease stains out. Health: One of the many reasons to love exercise! Workouts: I am totally going to do this. I definitely don’t stretch enough. Posters: Yes. Yes you are. Food-breakfast: Whole wheat chocolate chip sweet potato pancakes. Food-entrees: Green pea pesto ravioli. Quick Bread: Healthy Banana Bread. Food-vegan entree: Cauliflower millet mash with a mushroom gravy. Food-snacks: Homemade coconut luna bars. 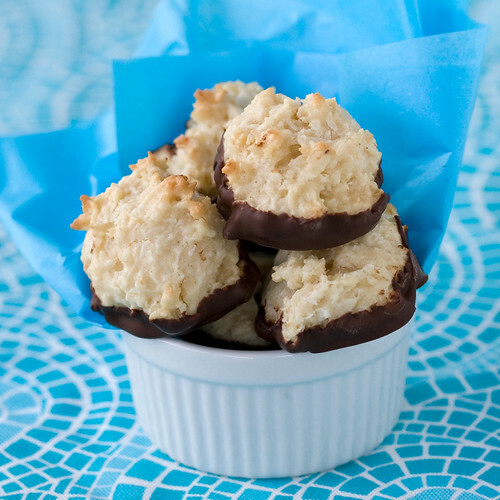 Food-dessert: Chocolate bottom macaroon cookies. Drool. Food-baked goods: Lemon olive oil muffins. I’ll take the whole batch thank you very much. Raw Recipes: Raw Churros with Rawtella Drizzle. Recipes to make NOW! : Vegan Samoas. Oh snap. 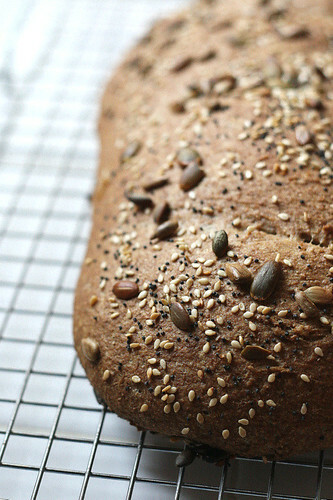 Cooking/Baking Tips: Use a heating pad to help bread rise faster. Fashion: Monogram bracelet. So simple yet so cute. Favorite Places and Spaces: I have no idea how much this costs but I want it. But I would have to get a pool then too…that could get pricey. Oh well. It’s worth it. Books Worth Reading: I won’t say The Hunger Games because that’s like, duhhh. Tuesdays with Morrie is amazing! Great life lessons. ED: Love your body. It’s the only one you’ll ever get. My Style: Hunger Games themed fingernails. Heck yes. For the Home: Hanging mason jar for flowers. What can’t you use mason jars for? DIY: I would still probably mess this up. Wedding: Love the back of this dress. LOVE. Photo Help: 15 photography tips photographers wished they learned sooner. Hot Actors: Josh Hutcherson. Swoon. So True: Oh Michael. I miss you. Need! : Darn owls. Why must you be so cute? Bucket List: Please and thank you. This entry was posted in Uncategorized by Health Freak College Girl. Bookmark the permalink. Pinterest is awesome. I have problems with having over 100 pins but I’m getting over it. There is too much awesome stuff! Also, it’s supposed to be nice in Seattle next weekend if that’s when you’re coming which is good because it’s awful here right now. Also I really want those sweet potato pancakes now. Drool! And I really like that running one too – it’s so true how it’s become part of my identity! Oh my god! I love all the pics! Especially josh hutsonson and ryan gosling!! Ow Ow!!! And don’t worry! You’ll pick the right school fo ryou! Isn’t pinterest the best?! It can be dangerously addicting though! So glad you’re loving all the schools….you’ll end up happy wherever! loved this post!! i seriously love Pinterest but i don’t go on very often so i like reading posts like these and then pinning a bunch of stuff from them – then i don’t get as distracted!